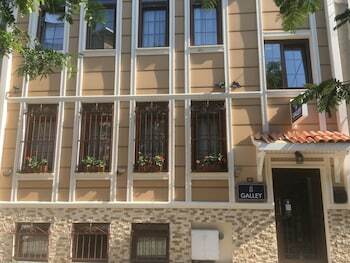 Located in Istanbul (Sultanahmet), Galley Hotel is within a 15-minute walk of Hippodrome and Blue Mosque. Featured amenities include complimentary wired Internet access, a business center, and express check-in. Planning an event in Istanbul? This bed & breakfast has facilities measuring 172 square feet (16 square meters), including conference space. For a surcharge, guests may use a roundtrip airport shuttle (available 24 hours) and a cruise ship terminal shuttle.